... for diners... 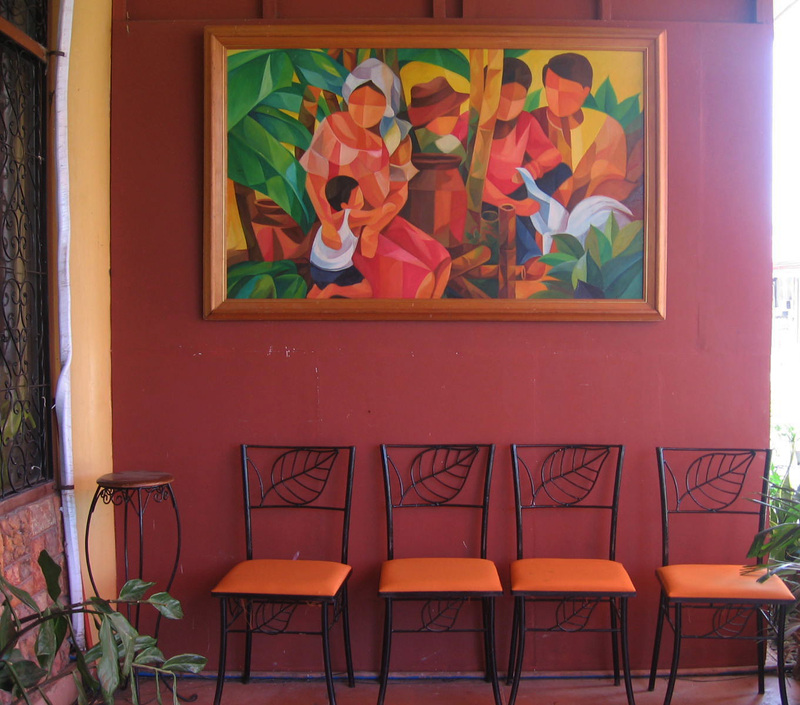 I like this Filipino themed painting and the chairs too, I talked to the restaurant in-charge, sadly they do not know where and who the artist is. Taken at Cubyertos Restaurant along Torres St. here. 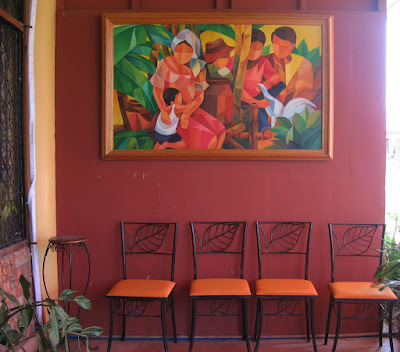 I love the painting! Very lovely indeed!